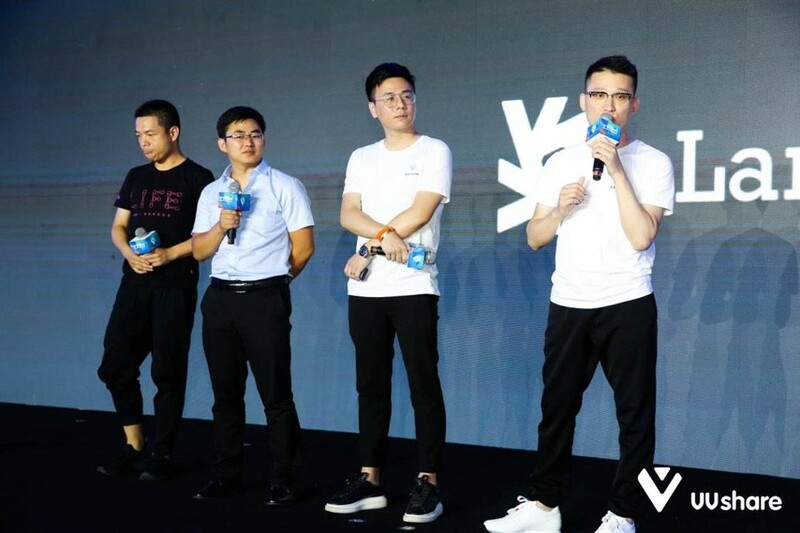 On June 29th, the VV Share White Paper and Community Launch Conference was successfully concluded in Wuzhen, China. VV Share is a social science experiment jointly proposed by Chen Weixing and Yang Jun. Chen, Kuaidi Dache founder, is a well-known entrepreneur and investor in China. VV Share is a complete blockchain economic sharing platform. The platform will start with the VV Go in the ride sharing field and later venture to other sectors including bed & breakfast stays, takeout, and airline tickets sharing. 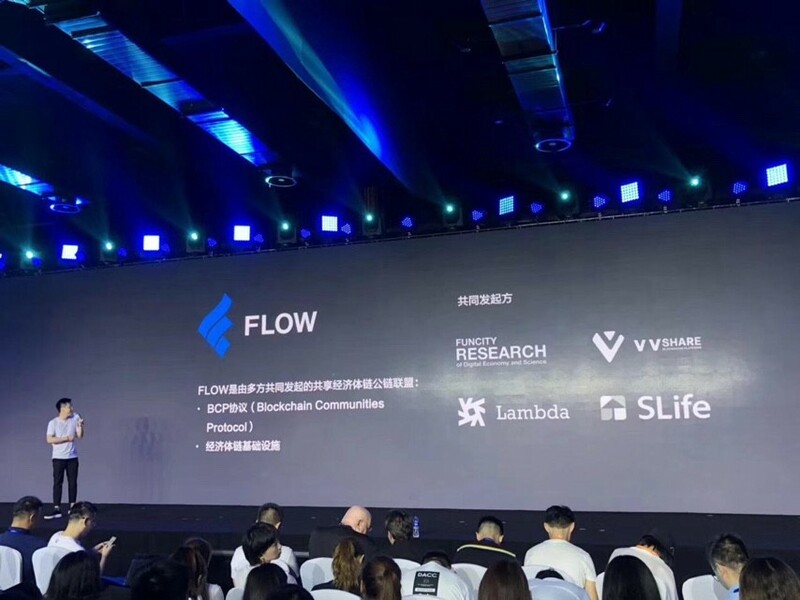 At the press conference, Lambda and VV Share, Slife, the FunCity Digital Economy Research Institute jointly announced the launch of FLOW, a shared economy public-chain alliance, to build a future shared economy chain infrastructure. Lambda will link all affiliate economies (public chains) through the BCP agreement to provide decentralized storage services for the entire ecosystem. Chen Weixing said: “We expect people to work and create based on trust, and create a prosperous society.” At the press conference that evening, the “Taxis Chain” program was officially named “VV Share”, relating it with the blockchain world. Chen Weixing’s interpretation of the meaning of the brand is full of ideals: “V”stands for the victory of laborers, citing the famous gestures of Winston Churchill during World War II, expressing the determination to make wealth truly shared; “VV” denotes victory multiplied and a win-win situation for all members of the upcoming platform, and “Share” represents the core value — the spirit of sharing. Chen Weixing said the planned blockchain app will have three core elements of a sharing economy built on blockchain, 1) a marketplace shared by all the laborers contributing to the platform; 2) a tokenized economy; and 3) a governable public chain with cross-chain interoperability. 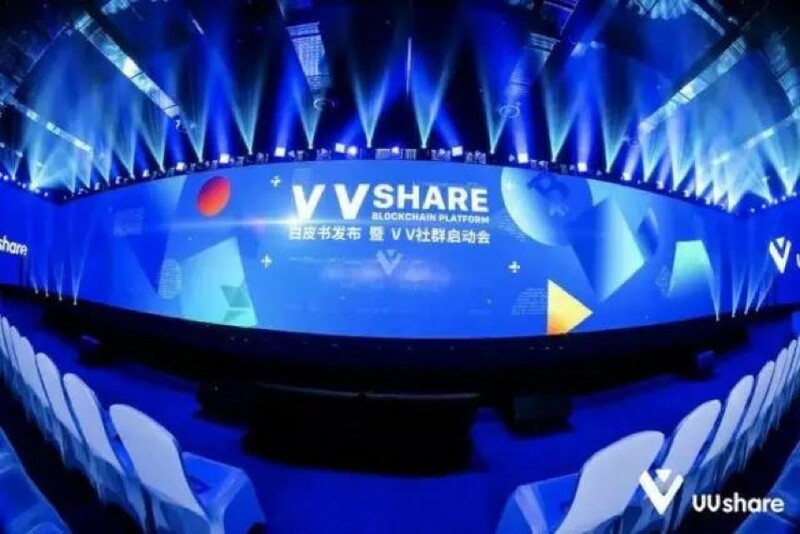 VV Share will begin with ride sharing (VV Go), and then move on to other sectors including bed & breakfast stays (VV Stay), takeout (VV Eats), airline tickets sharing (VV Fly), etc. The platform will also be open to the public to allow developers to build other apps such as wallet, crypto exchanges and data analysis on top of it to gradually improve the ecosystem and create a fair and enthusiastic “labor” community. The independence of various chains is one of the important reasons why most projects currently do not serve the real business applications well. In order to solve this problem, VV Share will also initiate the establishment of an economy public chain alliance FLOW, through the BCP protocol to support cross-chain, thereby achieving asset transfer and state transfer between the chains, as well as supporting the exchange between different economies. Lambda, a blockchain infrastructure project offering unlimited storage capacity, and SLife, the commercial trading system under the blockchain, will be the first participants of VV Share. Lambda project co-founder Gao Haiqiang (second from left) was also invited to participate in this conference. As we all know, the essence of the Internet is the connection between people and information, whether it is centralized or decentralized applications. Leaving data and storage, the Internet will become a “rootless”. So for the big ecosystem of VV Share, infrastructure services are the top priority. However, because the essence of all public chains is now a decentralized distributed ledger, it is a simple linear table of transaction records. The only data that can be stored is the address of the transaction parties and the transaction amount. Other data cannot be stored effectively. Without the support of the underlying data, the actual use of the blockchain is greatly limited, so storage services play a very important role in the entire infrastructure. Chen Weixing said that the reason why the Lambda project was chosen is that it is one of the few technical teams in China that can provide “data integrity proof” solution. Lambda plays a very important role in the whole VV Share ecosystem. We also analyzed and compared many storage projects in China and abroad, and found that many projects have no consideration for basic data integrity, privacy and security, and even lack of many basic knowledge of blockchain. Lambda provides a simple and clear logic that demonstrates the integrity, security, and privacy of data storage in a decentralized scenario. Our team and the Lambda team conducted technical exchanges and discussions for four months. Based on an overall consideration, we decided to partner with Lambda. In the future, in the field of data sharing and data trading, VV Share and Lambda will have more cooperation. Today’s decentralized applications generally lack the ability to address data storage requirements, and the core issue of decentralized storage is the proof of data integrity. There is no possibility of decentralized storage without integrity proof. Lambda is unique in that it ensures the integrity and recoverability of data stored on the “non-trusted nodes” by verifying the node’s consensus to complete the Provable Data Possession (PDP) and Proofs of Retrievability (POR). He Xiaoyang, the founder of the Lambda project, congratulated VV Share on its successful release of whitepaper and looked forward to the future of big ecosystem of the blockchain economic sharing platform. Lambda is a high-speed, secure and scalable blockchain infrastructure project. Through the logical decoupling and separate implementation of Lambda Chain and Lambda FS, we provide infinitely scalable data storage capabilities to decentralized applications and achieve data integrity proof, multi-chain data cooperative storage, cross-chain data management, data privacy protection and other services. On July 4th, Lambda, t announced the financing of several top investment institutions including FunCity Capital, Ceyuan Digital Assets, BlockVC, Bluehill, and DATA Foundation. Earlier on June 19th, Lambda announced that it had received tens of millions of RMB financing from Zhen Fund, ZhenFund, Metropolis VC, and Dfund.. He Xiaoyang, the founder of Lambda, is a well-known Chinese infrastructure software expert, a member of the JVM community. Prior to his entrepreneur experience, Mr. He worked as a R&D software engineer at BEA Systems and Oracle. In 2008, Mr. He founded OneAPM and in 2014, the application performance management product based on SaaS model was launched. In one and a half years, OneAPM has completed four rounds of financing led by well-known VC such as Matrix China, Chengwei Capital and Qiming Venture. In 2015, Mr. He was selected as an entrepreneur’s 35 “Under 35” list. The WeChat public account “He Xiaoyang Reading Notes” has a wide influence in the developer community. Do you know IPFS can not mine?